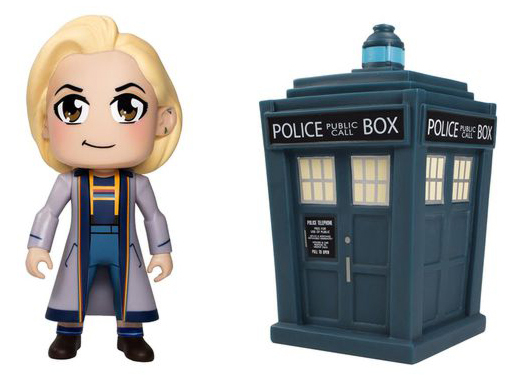 The Thirteenth Doctor and her TARDIS make their 3” TITANS debut as an all-in-one 3” TITANS Twin-Pack! This 3” Twin Pack comes in window-boxed packaging and the Thirteenth Doctor will be accompanied by her sonic screwdriver accessory! Can’t understand why this one is so expensive. These figures are usually £7.99 each so you’d think a twin pack would be about 15. Also – 5 for P&P. Might wait to see if price comes down.